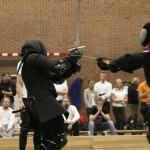 Home/Rapier, Sword & Buckler/What Is HEMA? 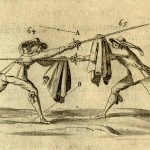 The modern sport of fencing is derived from earlier systems. But this is a small part of the whole picture. Europe produced a remarkable literature of combat, from many countries, over the course of several centuries. 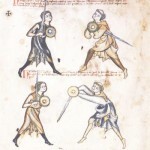 The earliest known fight-book dates from around 1300, depicting monks, as well as a woman, fencing with sword and buckler (a small round shield). Later treatises cover all manner of swords, polearms, unarmed combat, sickles, daggers and other weapons. 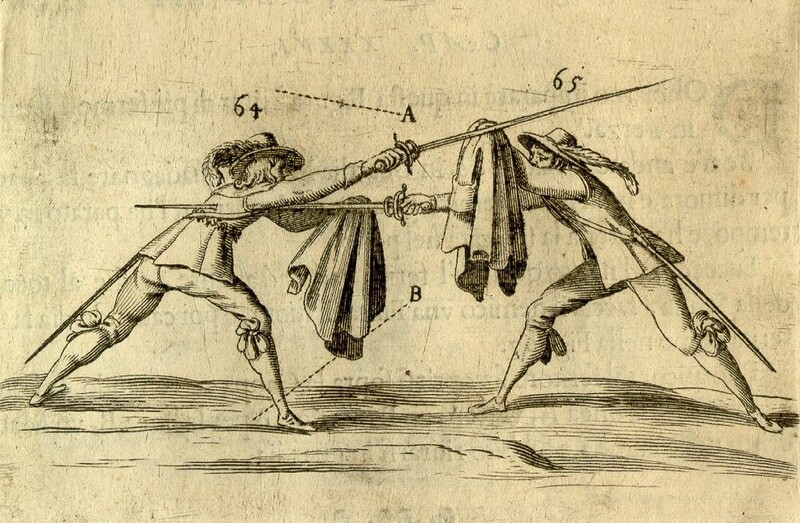 Historical European Martial Arts (HEMA) is founded on the premise that although these systems fell out of use, or mutated into something different, it is possible to reassemble them. This is approached through scrupulous attention to the texts, physical experimentation, and study of their cultural context; without dismissing insights from elsewhere, such as modern training methods, pedagogy, biomechanics, or other martial arts. There is no dressing up – the central aim is to understand the historical systems. Therefore fighting with historical weapons by itself is not HEMA. By definition HEMA is practice based upon historical sources, hence the fundamental importance of the texts. In this context tournaments and competitions provide an important space for practitioners to gather together and test their training and interpretations with the pressure of uncooperative opponents.